The Working Families Party and the Progressive Change Campaign Committee endorsed the Tallahassee mayor Tuesday. Two major progressive organizations are lining up behind Andrew Gillum's bid for governor. The Working Families Party and the Progressive Change Campaign Committee each endorsed Gillum Thursday afternoon in separate announcements. "Voters are really responding to a visionary, progressive message that is about how policy can make a meaningful difference in people's lives," Joe Dinkin, spokesperson for the Working Families Party said when asked why the group is endorsing Gillum. "It's not enough to be anti-Trump." The WFP is a national political organization based in New York that works to train and elect liberal candidates in races all over the country. In 2017, it endorsed 1036 candidates across 23 states. Its signature candidate, Randy Bryce, has generated national buzz for his long shot effort to flip the seat currently held by U.S. House Speaker Paul Ryan, R-Wisc. Dinkin said the WFP found Gillum's work in Tallahassee on issues like climate change, immigration and the minimum wage to be especially attractive. "His record of actually delivering on progressive issues as a mayor was big to us," Dinkin said. "By aligning himself with the national progressive movement on issues like Medicare for All, Andrew is an inspiring, authentic progressive who will fight for working families and pioneer bold new initiatives like fighting the NRA and calling for new gun laws," PCCC co-founder Stephanie Taylor said in a release. 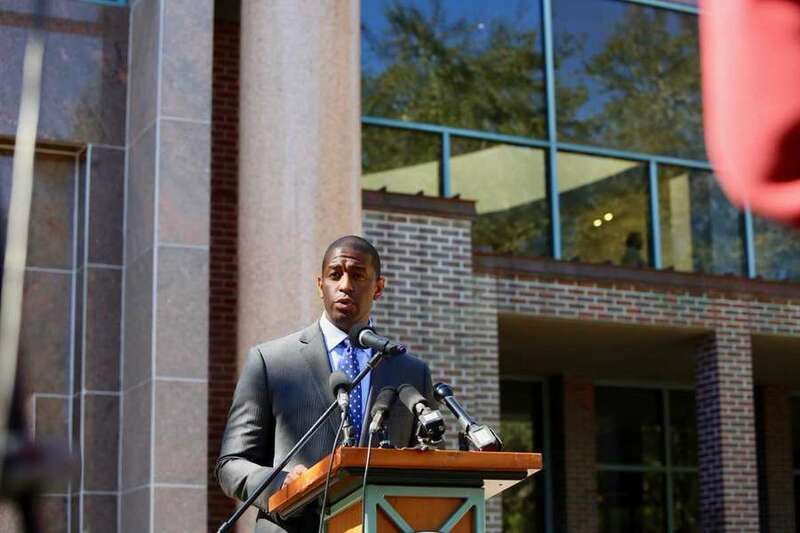 Whether they will help Gillum's fundraising outlook or poll numbers remains to be seen. But with endorsements from these two groups, Our Revolution, The Collective and others, it's clear some national progressives are picking up what Gillum is putting down. Times/Herald staff writer Elizabeth Koh contributed reporting.